Whether you're running a small business and want to make things easier for your customers or just moving and want to make the unpacking process a little less painful, Rip Cord Tape ($TBA) can help. 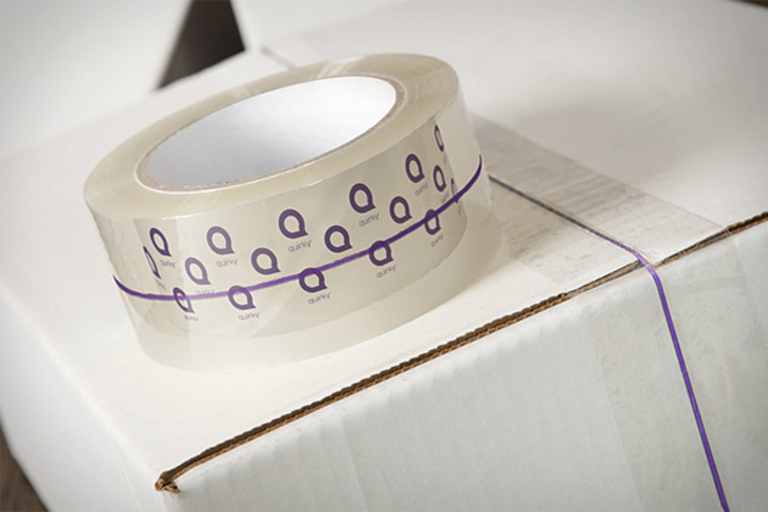 This new breed of packing tape has a small string running down the center, letting the opener simply pull the string to separate the tape into halves, and the included tape dispenser is made to leave a tab at the center — all of which allows for effortless access to the inside of the box. Most premium pens are overpriced — and hacking their refills to fit your cheapo Bic isn't exactly a good solution. This Solid Titanium Pen + Stylus ($65), on the other hand, is. Made completely from TA4 titanium, it features a tension spring to allow it to work with refills from a host of great pen makers, including Cross, Pelikan, Pentel, Mont Blanc, MonteVerde, Zebra, and more — even including the aforementioned Bic. When the pen's not in use, the built-in clip will keep it in place in your bag or on your notebook, while the replaceable stylus tip means its good on more surfaces than just paper. Add a small touch of class to your office by ditching your disposable for a Ti2 Pen ($55 and up). Based on the Pilot HITEC C pen system, the Ti2 is machined out of grade 2 titanium for strength, looks, and corrosion resistance, features four parts — a cap, main body tube, dual threaded front, and threaded endcap — and is available with your choice of color and size. Why would Moleskine get into the pen-making business? To make a pen that matches its notebooks, of course. The Moleskine Click Roller Pen ($11) is designed to be an ideal companion for a Moleskine notebook, with a rectangular shape and rubber clip that are specifically fitted to attach to the cover of a Moleskine journal, and a retractable point that ensures you don't accidentally write all over yourself or the inside of your bag. You switch your dress pants to linen in the summer, so why not your notebook? Assembled by hand in Portland, Oregon, the Tanner Goods Linen Notebook ($15) comes equipped with 48 graph paper pages, as well as random info like conversion tables, animal tracks, and common knots and ties. 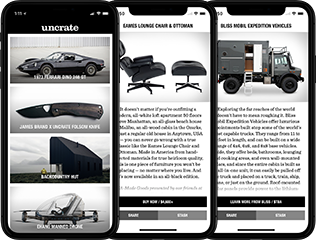 Available in clay, charcoal, cobalt, or evergreen. Is your office less like a workplace and more like a battlefield? 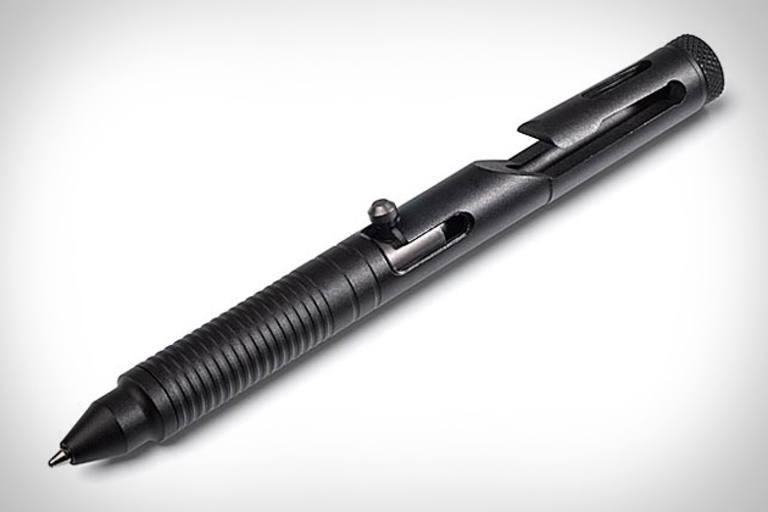 Head into the day prepared with the Bolt Action Tactical Pen ($50). Built from anodized milled aluminum, it features a bolt action mechanism that opens and closes the pen tip, an integrated clip, and a flat head in case all the goofing around becomes an actual, "I need to stab someone in the eye" battle.